On Sunday, February 14, 20010, Daytona 500 race day, SIRIUS NASCAR Radio will start broadcasting live from the track at 7:00 am ET and will offer listeners 15 hours of live coverage throughout the day. SIRIUS NASCAR Radio will offer all the action on the track during the 52nd running of the Daytona 500, which starts at 1:00 pm ET, plus full pre- and post-race coverage with expert analysis, reports from pit road and the garages, driver introductions and interviews with the race winner and other competitors. Here are the driver and other channels for the race, followed by the full Sirius Radio press release. Sirius/XM Radio "Best of SIRIUS"
NEW YORK – February 10, 2010 – SIRIUS XM Radio (NASDAQ: SIRI), the Official Satellite Radio Partner of NASCAR, announced today it will provide comprehensive coverage of the upcoming Daytona 500 on SIRIUS NASCAR Radio, the only radio channel dedicated entirely to NASCAR. SIRIUS NASCAR Radio, available to listeners nationwide on SIRIUS channel 128 and on XM channel 128 with the “Best of SIRIUS” programming package, is broadcasting from Daytona International Speedway each day of Daytona 500 week, offering live coverage of every race, plus NASCAR talk, news and analysis. On Sunday, February 14, Daytona 500 race day, SIRIUS NASCAR Radio will start broadcasting live from the track at 7:00 am ET and will offer listeners 15 hours of live coverage throughout the day. SIRIUS NASCAR Radio will offer all the action on the track during the 52nd running of the Daytona 500, which starts at 1:00 pm ET, plus full pre- and post-race coverage with expert analysis, reports from pit road and the garages, driver introductions and interviews with the race winner and other competitors. SIRIUS XM will also offer additional Driver2Crew Chatter™ channels that will carry the in-car audio of NASCAR’s top drivers as they compete in The Great American Race. The “Fan’s Choice” channel will feature the in-car audio of a driver determined by fans who log on to www.sirius.com/nascar and vote from a selection of competitors. Fans can also listen in on the NASCAR Officials’ communications during the race on SIRIUS channel 154 and XM channel 107 (“Best of SIRIUS”). SIRIUS NASCAR Radio will also provide live coverage of both Gatorade Duels, the 150 mile NASCAR Sprint Cup Series qualifying races, on Thursday, Feb. 11 (1:00 pm ET), the NextEra Energy Resources 250 Camping World Truck Series race on Friday, Feb. 12 (7:30 pm ET), and the Drive4COPD 300 NASCAR Nationwide Series race, featuring the much-anticipated start of Danica Patrick’s NASCAR career, on Saturday, Feb. 13 (12:45 pm ET). On Thursday, Feb. 11 (6:30 pm ET), two-time NASCAR Sprint Cup Champion Tony Stewart will host a special edition of his SIRIUS NASCAR Radio talk show, Tony Stewart Live, from the IMAX Theater at the Daytona 500 Experience at the speedway. Stewart and co-host Matt Yocum will preview the Daytona 500 and the start of the 2010 NASCAR Sprint Cup Series season. Fans are welcome to attend the broadcast and will be admitted free of charge. Space is limited. Tickets will be made available on a first-come, first-served basis on Thursday, February 11, starting at 10:00 am at Guest Services at the Daytona 500 Experience. 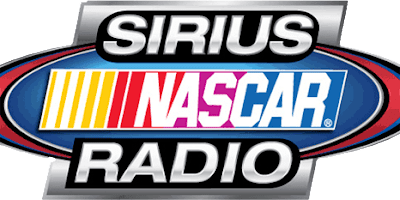 SIRIUS NASCAR Radio’s daily weekday talk lineup begins at 7:00 am ET with The Morning Drive (7:00 – 11:00 am ET), hosted by Mike Bagley and Pete Pistone, followed by Tradin’ Paint (11:00am – 3:00pm ET), hosted by Danny “Chocolate” Myers and Rick Benjamin, then SIRIUS Speedway (3:00 – 7:00 pm ET), hosted by Dave Moody. Late Shift, hosted by Alex Hayden and Buddy Baker, airs Mondays and Tuesdays (7:00 – 10:00 pm ET), followed on Monday nights by Mojo Nixon’s Manifold Destiny (10:00 pm – midnight ET). Wednesday through Friday (7:00 – 10:00 pm ET), Claire B. Lang hosts Dialed In, providing her listeners with up-to-the-moment news and interviews. On weekends, Pat Patterson will host The Front Stretch Saturday and Sunday mornings starting at 7:00 am ET. Claire B. Lang, Steve Post and Alex Hayden will team up for SIRIUS NASCAR Radio’s pre- and post race shows to give NASCAR fans a comprehensive view of everything on, inside and around the track. On Monday, February 15, The Morning Drive will broadcast live from the Daytona 500 Experience at the speedway where hosts Mike Bagley and Pete Pistone will conduct live in-person interviews with the 2010 Daytona 500 Champion driver, crew chief and team owner. As the Official Satellite Radio Partner of NASCAR, SIRIUS broadcasts every NASCAR Sprint Cup Series, NASCAR Nationwide Series and NASCAR Camping World Truck Series race. Fans can also tune into SIRIUS NASCAR Radio for expert NASCAR talk all year long on SIRIUS channel 128 and now on XM channel 128 with the “Best of SIRIUS” programming package.